The Metro 5MPX caster attaches to MetroMax® shelving units, enabling smooth movement in any direction with its polyurethane wheel. 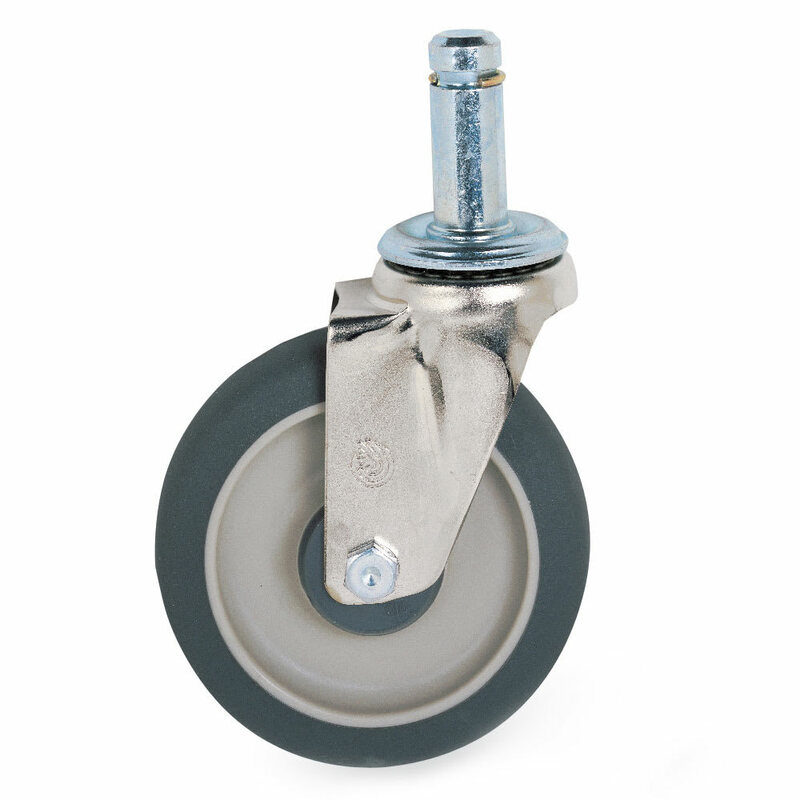 With flat treads, this caster can glide quietly across floors without marking them. A donut bumper is included, which fits under the shelving stem. This bumper helps reduce the impacts on the stem for extended use.